Written by Felipe Azenha & filed in Historic Preservation, Quality of Life, Rental, Residential. The front porches overlook the courtyard. 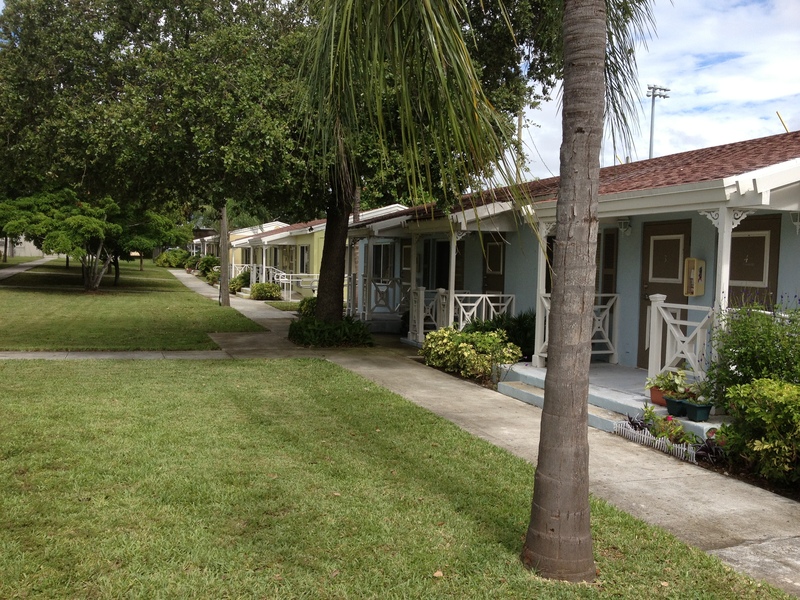 I stumbled upon this beautiful low-income housing project while biking through Little Haiti a couple of weeks ago. 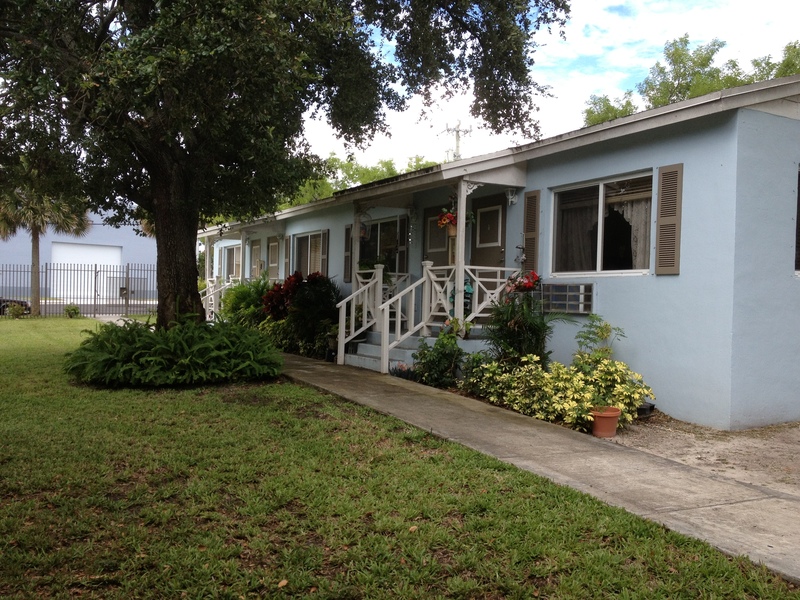 Carrfour Supportive Housing owns the Little Haiti Gateway housing complex, which was built in 1947. 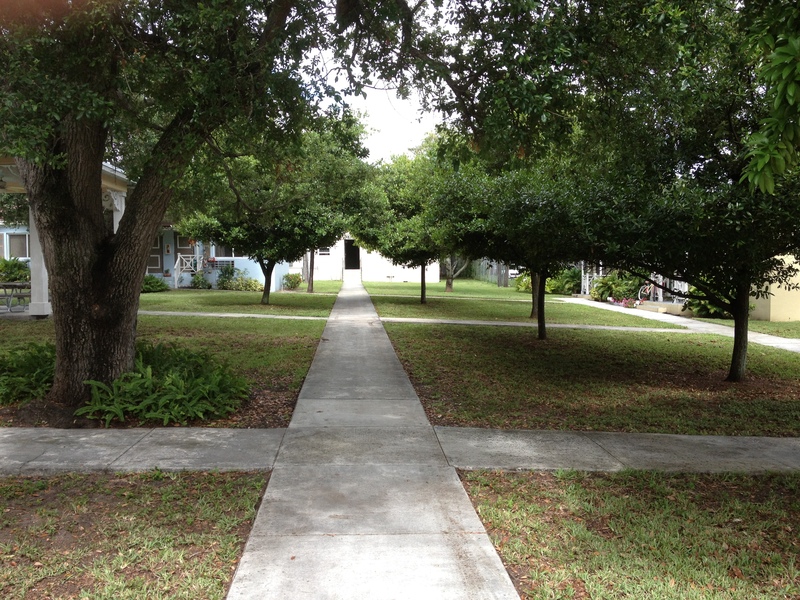 Paths connect the small multifamily cottages. Many of the units face a courtyard which has a resident common area complete with a barbecue grill and picnic tables. 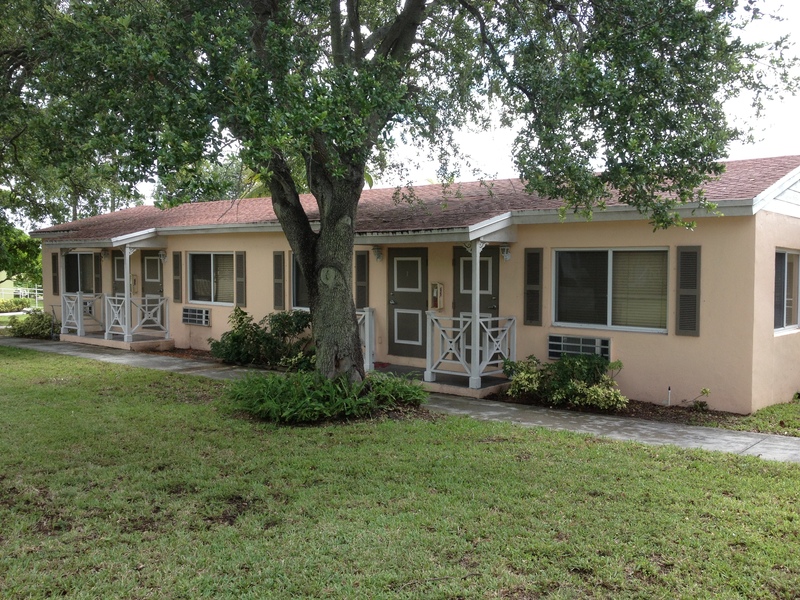 All of the units have small front porches that are connected by a series of concrete paths and covered by mature oak trees which provide a nice canopy of shade for residents. 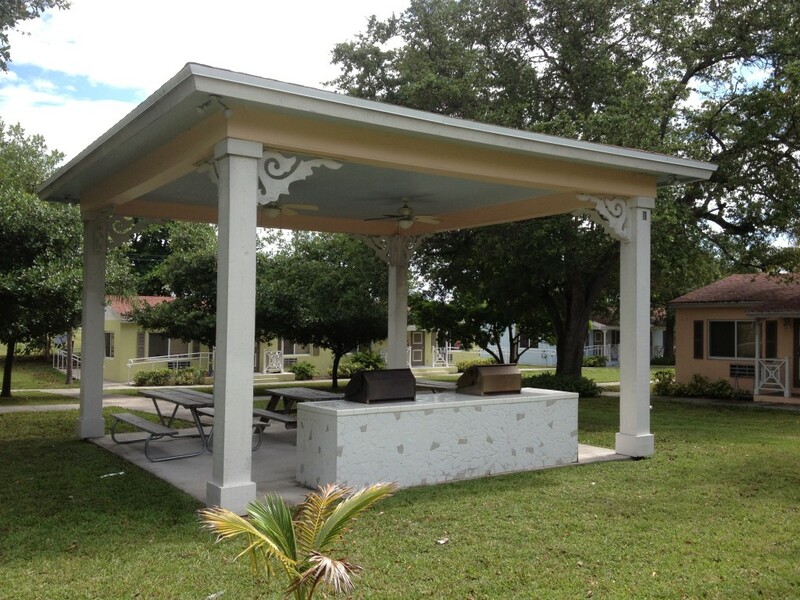 Barbecue area with picnic tables in the middle of the courtyard that is surrounded by the small multifamily cottages. 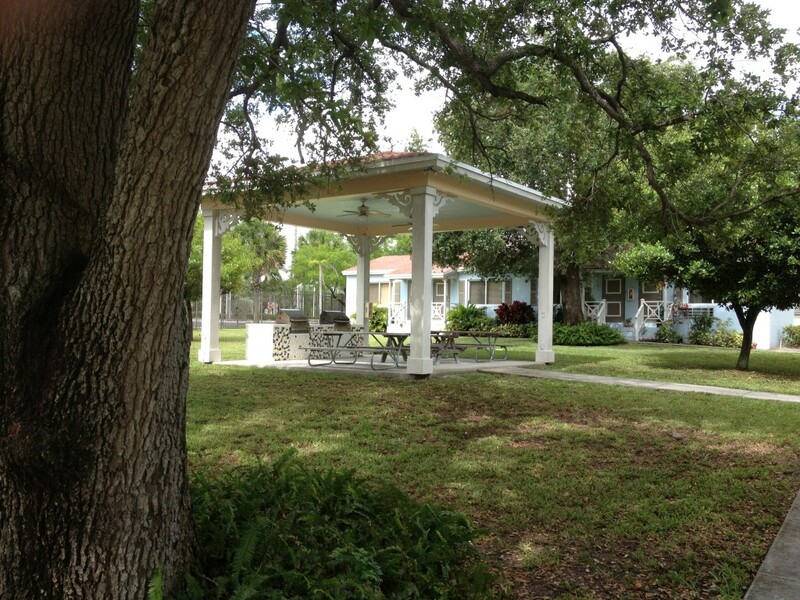 The grounds are very well maintained and you can sense that the residents are looking after their home. This is great example of low-income housing done tastefully. Take a look for yourselves.